Thallium is a metallic element with chemical symbol Tl and atomic number 81. 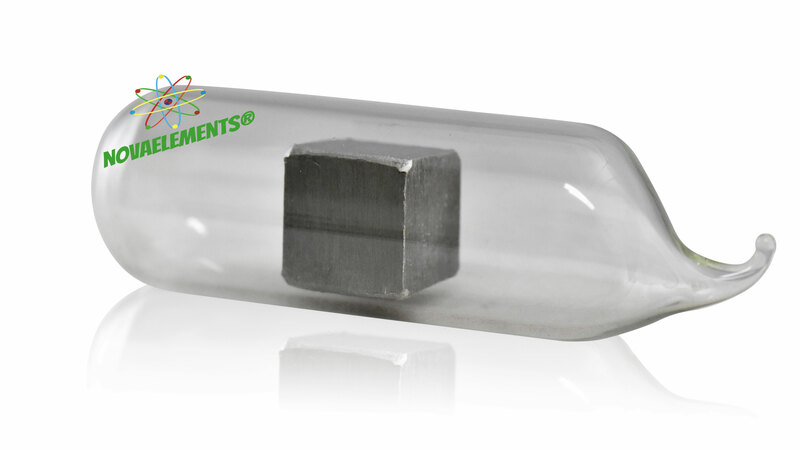 Thallium metal is a silvery white solid at normal pressure and temperature, but you can easily melt (only if Tl is in sealed ampoule) to obtain the specimens like the picture on the right. Thallium metal is highly dangerous for health, for this reason the samples comes inside an argon sealed ampoule. For a better precaution choose the resina casting option! High purity and very rare Thallium metal sample, 1 cm long wire argon sealed ampoule. You'll get a shiny surface sample absolutely oxide free.